That's the whole point - that Raul Ibanez was able to do the same thing as Ted Williams in his 41st year, which is a feat unto itself. Nobody's saying Raul could carry Ted's jockstrap or anything. exactly and raul has 5 games to hit 1 more and stand ahead of everyone all-time at that age . ted was going to quit playing a year or two before he actually did but a friend talked him out of it telling him that he's so close to some milestones like 500 homers etc. ted played on and actually hit a long homer his last at bat. dyk that in 1934 two brothers won all four games for their team. dizzy won 2 games and daffy won the other two games for the cardinals over the tigers. they were the dean brothers. With the advances in training, nutrition, off season workouts, etc... comparing ages now isnt anything special imo. The only way to do it is to look at the deviation from the mean at the current period. Comparing numbers at face value without context is worthless. So we pretty much agree. But, with respect to Ibanez, there's no other 41 year olds doing this, so it's special. Factor in he's facing better comp, even moreso. pedro alvarez of the pirates set a new MLB record for getting an RBI in each of his first six games in the postseason was never done before. too bad pirates didn't make it to the next round now he has to wait till the pirates reach the postseason again to try and extend it. yup, knew it and for his trouble he got sent packing because casey stengel didn't like his act. i think he was on the mets at the time. remember him telling duke snider you hit your 400 hr and they didn't make a big deal out of it. watch when i hit my 100 th. dyk that if babe ruth would have had as many at bats as maris in the 61 homer season when he hit 60 , he would have hit 66 hitting them at his pace.the plate appearances were actually close maris 698 to ruth's691 but ruth of course had more walks.bonds in his 73 year would have hit 91.
a football one this time first qb to throw for 1000 yds in a season was arnie herber in 1936. first to 2000 yds in a season was cecil isbell 1942. first to 3000 yds in a season was in 1960 john unitas did it in a 12 g season in the nfl and jack kemp and frank tripucka did it in the 14 g afl. next year nfl went to a 14 g season. first to 4000 yds was joe namath in 1967= 14 g had 4007 yds. first to 5000 yds was dan marino with 5084 in 1984 16 g season. . since broken by drew brees w 5476 yds. in all 110 qbs topped 4000 yds for a season. with 6 topping 5000 yds drew brees 3 times . a big deal was made in 1961 when roger maris hit 61 hrs and broke babe ruth's hr record of 60 because the season was expanded from 154 games in ruth's time to the then and current 162 games. did you know that when babe originally broke the hr record back in 1919 when he hit 29, the guy's who record he broke was 27 accomplished in a 112 games season at the time.ned williamson 27 hrs in 112 game season back in 1884.
that the mlb all-star game was first held in 1933, and since then 23 pitchers won 15 games or more by the all-star break. ubaldo jimenez was the last to do it in 2010 and was the only one of the 23 not to win 20 games for the year he finished 19-8. 3 pitchers did it more than once wilbur wood 3 times and sandy koufax and bob feller twice. in 1968 denny mcclain was 16-2 at the break he was the only one of the 23 to win 30 games finishing 31-6. wilbur wood won the most he won 18 but he also lost 14 at the break. he finished 24-20 being the only guy to lose 20 .
a boxing one for a change: did you know sugar ray leonard made 40,000 dollars in his pro debut, contrast that with marvelous marvin hagler who made 50 dollars in his first pro fight. DYK the lowest total for a team home run leader is steve balboni who hit 36 home runs in 1985 the total still stands. the record before balboni was 34 by john mayberry sr in 1975. Didn't Greg Nettles win the HR crown with 32 once? Maybe I'm reading your post incorrectly? Gotcha. I didn't get the team context. Thought you meant overall. DYK with the 76ers recent streak of 26 losses the philly sports teams now own or share the record for consecutive losses in two of the four major sports. the nba record is now jointly held by the cleveland cavs 2010-11 and the sixers 2014. the phillies hold the modern major league record of 23 losses in 1961. the orioles of 1988 hold the al record with 21 losses. the nfl record of 26 is held by the tampa bay buccaneers of 1976-77 fame. the nhl record is a paltry 17 by the caps of 74-75 and the sharks in 92-93.
this is more of a something to watch for the record for a 42 year old is 28 hrs by a probably jacked up barry bonds in 2007 before that the record by a mere mortal? ?? was 18 by carlton fisk when he was 42 years of age. DYk now that jimmy rollins has hit his 200 th hr he is the 19 th guy to have 400 or more doubles 100 or more triples and 200 or more hrs of the 19 -15 of these players are in the hall of fame. 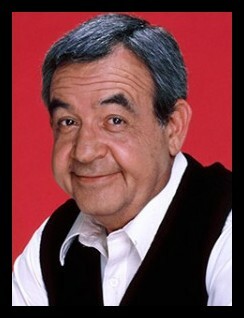 Tom Bosley never won the Heisman trophy. and beither did the fonze who wasn't even a real italian as purported . however this guy scored 4 tds in a single fictional game for polk high school. while talking about heisman's DYK that ed marinaro of some tv show [maybe hill street blues] came in second for the heisman trophy to pat sullivan and also was the first running back to run for over 4000 yds in a college career. and current actor and ex college Qb mark harmon was the son of a heisman trophy winner tom harmon DYK? update raul ibanez hit number 1 so who knows 301 career hrs.